Can’t wait to see the finished Souls of Mischief documentary by Shomari Smith which recently had a pre-screening at the New Parkway. 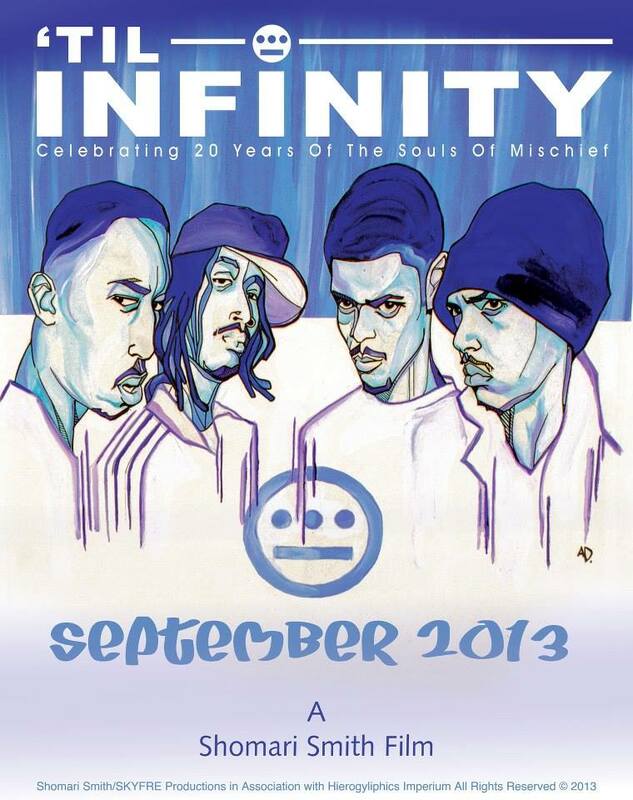 The 20th anniversary of 93 ’til Infinity is celebrated by the group & artists recount the influence of the album. Check for release updates on their FB page. Til Infinity from Til Infinity Doc on Vimeo. 93Til20Years Teaser ShortVersion update from Til Infinity Doc on Vimeo. Souls performing at Jefferson High in 1993. Fools was 19!